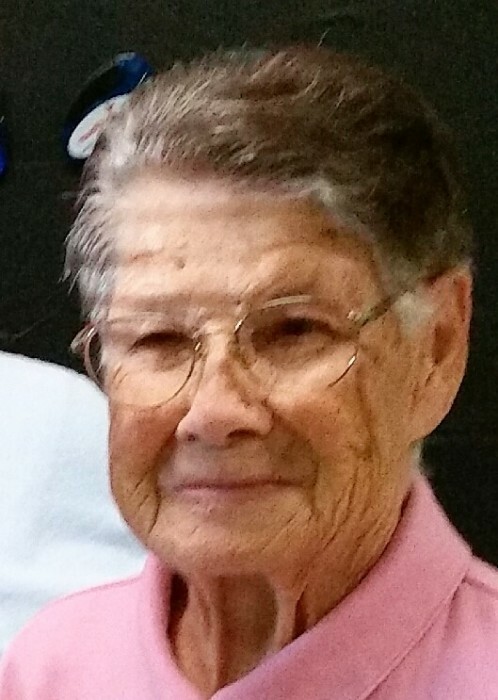 Clara “Sis” I. Williams, 86, of Byesville, passed away Friday January 11, 2019 at Cambridge Care and Rehabilitation. She was born January 16, 1932 in Byesville, the daughter of the late George and Sarah (Wakeley) Barnes. Sis retired from NCR after 26 years, and then worked several years for RCA. In her younger years, she worked for the Cambridge Glass Plant, and the Luna Movie Theater in Byesville, where she was an usher. She loved taking care of her yard, and enjoyed her time spent with grandchildren, and great-grandchildren. Preceding her in death, was her husband, Roger Williams, whom she married March 11, 1950, and passed away February 22, 2004; a brother, Ted Barnes; and a great-granddaughter Baylee. Sis is survived by a son, Gary (Cindy) Williams, Cambridge; a daughter, Darlene (John) Curry, Byesville; five grandchildren, Brian (Kerry) Williams, Jason (Terida) Williams, Brent Williams, Michele (Mike) Wilson, and John Lee (Michelle) Curry; eight great-grandchildren, Brenna, Gavin, Jayna, Tegan, Mike, Mikayla, J.R., and Dakota. Also surviving is a sister-in-law, Shirley Barnes, and several nieces, and nephews. Calling hours will be held Tuesday from 6:00 – 8:00 pm at the Black-Epperson Funeral Home in Byesville, where services will be held Wednesday at 11:00 am, with Pastor Mark Slay officiating. Burial will follow in Buffalo Cemetery.